The snowpack is slowly building up. 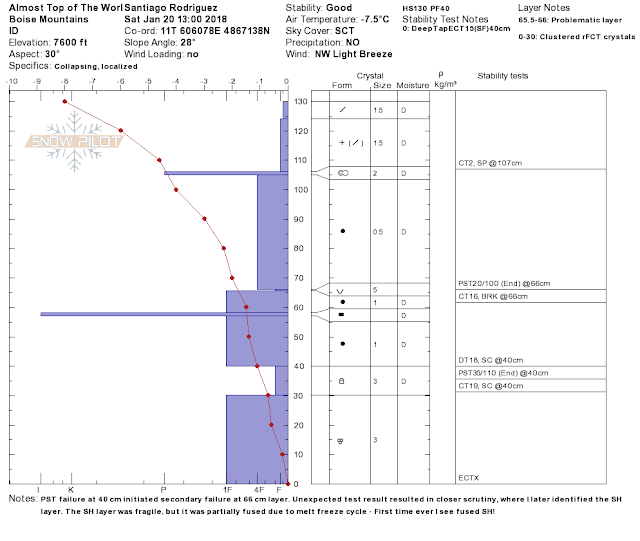 Above 7000 the snowpack depth exceeds 1 meter. Locations with some north component have as much as 1.5 meters in depth. Skiing continues to be pretty fun. Below Nico, a Chilean IFMGA guide enjoying Freeman skiing last Monday (January 22, 2018). The FIRST bad news - There was a rain event at all elevations in the Mores Creek Summit area Sunday night. 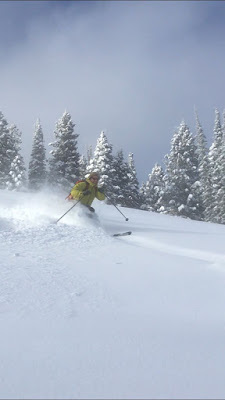 The new 15-20 cms of new snow from Sunday night through Monday came down above a rain crust. This new layer will require some monitoring since it is likely to result in a melt-freeze facet recrystallization. The SECOND bad news. 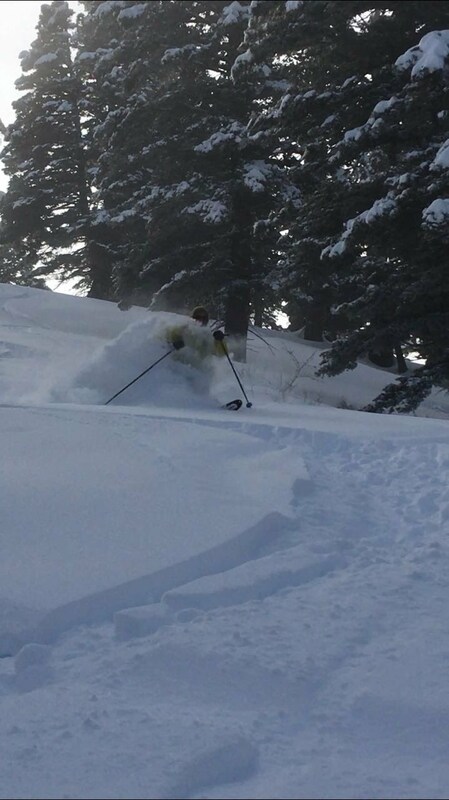 Last Saturday there was a timber sled avalanche release at Pilot Peak bowl. I was unable to get pictures and only have second-hand reports from a separate snowmobile group the observed the triggering of the slide. It is likely that the release occurred at a surface hoar (SH) layer. Coincidently the SH layer was identified last Saturday at a depth of 65 cm. This SH layer is now buried between at an 80-85 cm depth after the Sunday night storm. 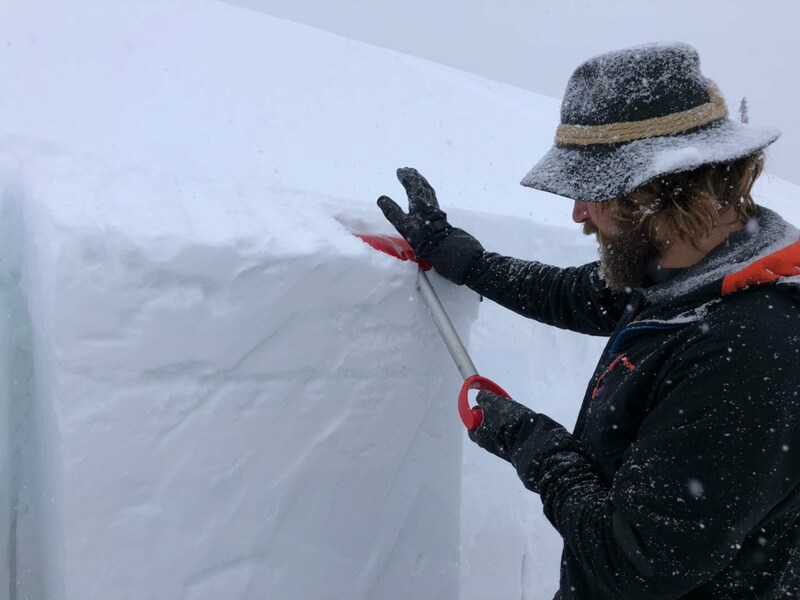 This layer was not observed at Freeman or Sunset, but it was present at a Pilot Peak snowpit above 7400 feet at a slope with an NE aspect. The surface hoar layer somehow has been fused by a melt-freeze event to the slab and underlying surface. The fusing and preservation of SH is a rare event I have not witnessed before. This thin "fused" SH layer is an unpredictable layer that shows propagation potential with stubborn reactivity. It was identified during a propagation saw test (PST) of the 90 cm facet layer. Fracture initiation of the 90 cm layer simultaneously triggered a failure at the 65 cm SH weak layer 😱. The SH fracture plane is shown in the next figure. Third bad news - it is likely that we still have to deal with another cycle of instability once the snowpack is re-loaded again. There are two weak layers that will require our attention, in addition to the slide paths that avalanched two weeks ago. The weak layers were left in place, and new snow was redeposited. These areas have the potential of becoming "repeat offenders" once the recent snow has time to metamorphose and develop a cohesive slab. 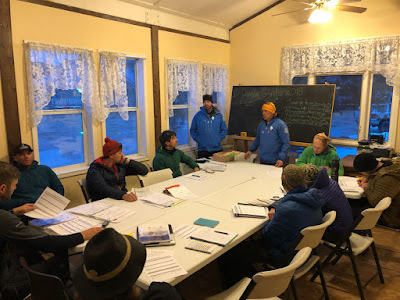 Changing gears - Last Sunday we completed a Silverton Avalanche School PRO1 brought to Mores Creek Summit by Avalanche Science. We had participants from Japan, Chile, Colorado, Washington State, Idaho, and Maine. The PRO1, a new American Avalanche Association professional course introduced this 2018 Winter was planned to be held at Soldier Mountain Ski Resort, but it has to be moved to Mores Creek Summit due to lack of snow. Pro 1 crew! It’s a wrap! We would like to take this opportunity to express our gratitude to the USFS-Idaho City District Range Office, Idaho City Library, and the Idaho City Chamber of Commerce. This PRO1 course would have not been possible without the support of those organizations. Next a collection of pictures from the PRO1 course. 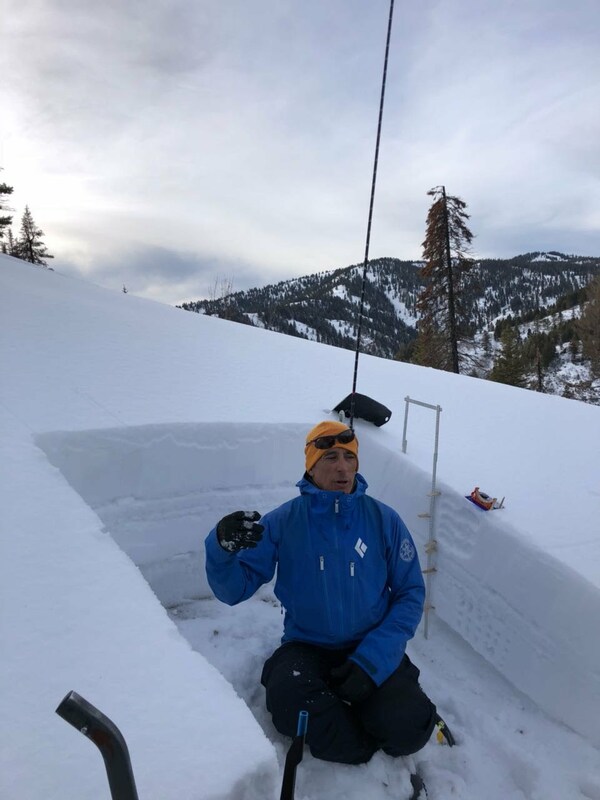 Notice the cozy instructional facilities of Avalanche Science at its headquarters in the Idaho City visitor's center. 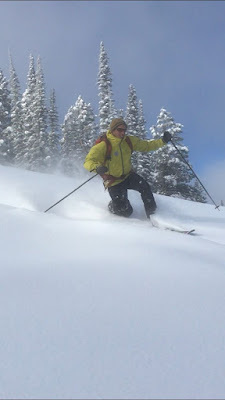 For those interested in Avalanche eduction at Mores Creek Summit, visit AVYSCIENCE.COM. 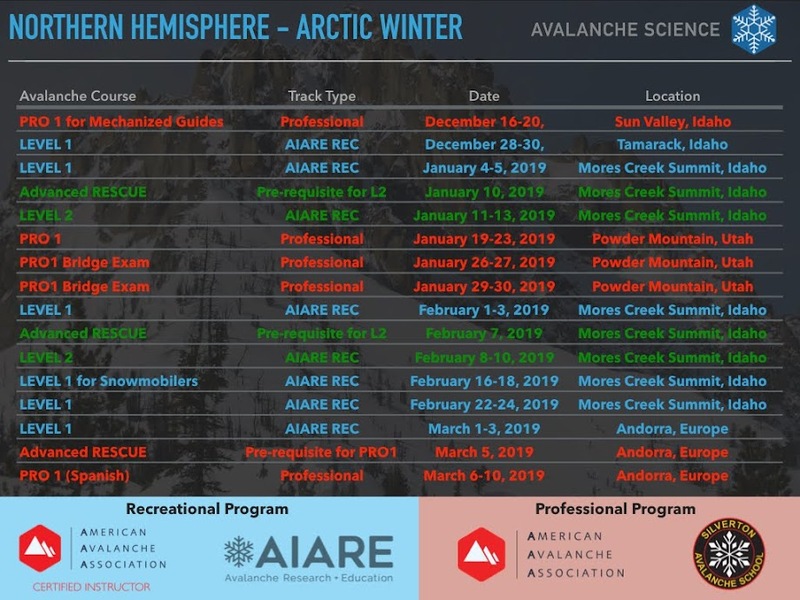 There are NOW two types of Avalanche Level 1 course offerings; "Premium" and "Regular" Avalanche level 1 courses. Check AVYSCIENCE.COM for dates, prices, and what is included in each course. 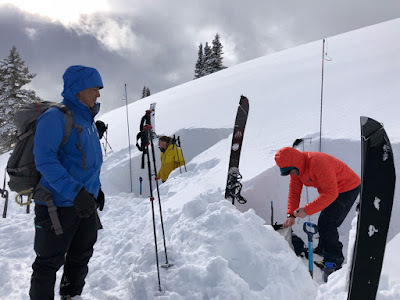 There is a $50 discount on the course fees when donating more than $25 to the Payette Avalanche Center or for lodging at Idaho City during the course. Proof of donation/lodging is required to get the discount code. The discount code is redeemable at AVYSCIENCE.COM. Last weekend I noticed that some ham radio enthusiasts used the 146.460 MGHz for their communications while skiing at Mores Creek Summit. What a coincidence! That is a frequency I monitor and communicate with when backcountry skiing. 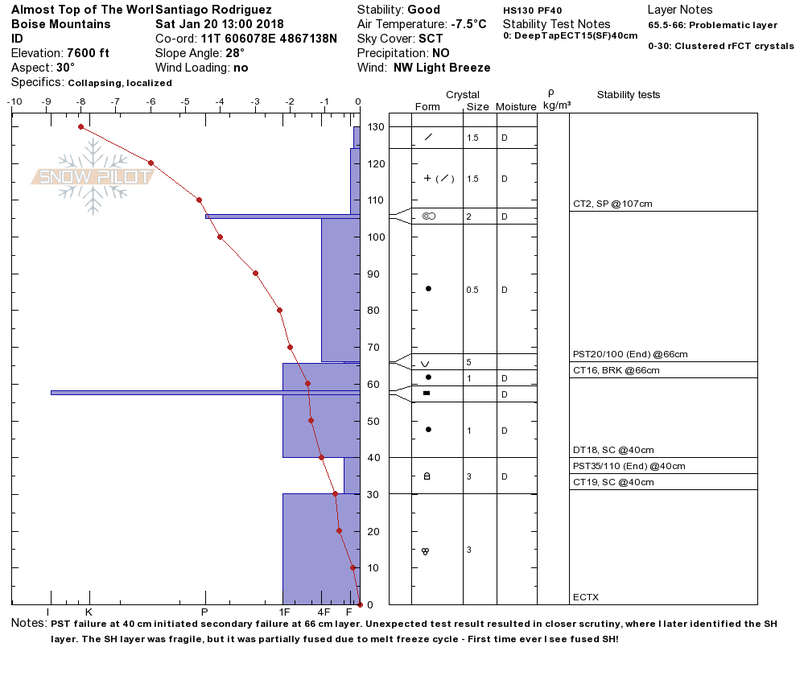 I suggest backcountry skiers adopt this frequency for Mores Creek Summit communications. That will allow for communications not only during emergencies, but to also share observations, snowpack data, stability test results, and other relevant information.